Growth form: Annual grass. Flowering. Apr. Status: Native. Very common. Also recorded: Bahrain, E Saudi Arabia, UAE. Habitat & distribution: Frequent to abundant and often dominant after winter rains on compact, shallow sandy soils in rocky areas and also in shallow sandy depressions and runnels. 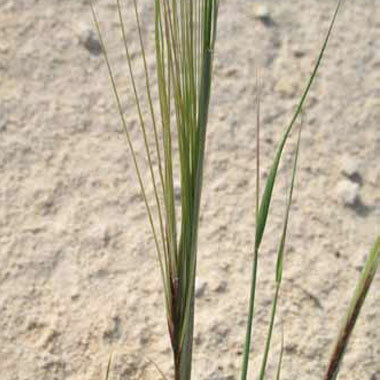 Uses: Batanouny remarks that it is grazed when young, but also that it can be injurious to animals, due to the sharp awns, when fruiting. Mandaville states that it is used as standing hay after fruits have fallen.